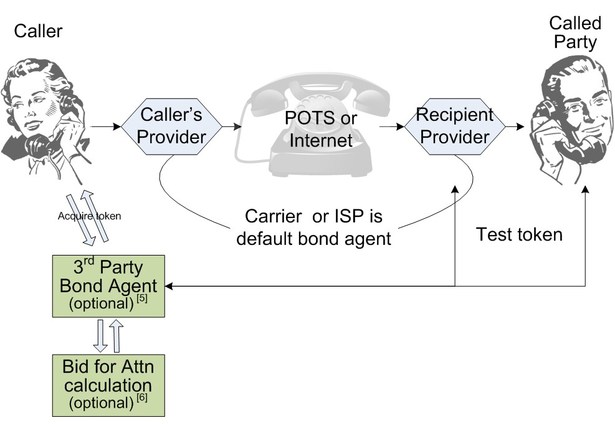 The Economic Risk Mechanism offers callers the ability to embed provable and transparent financial liability (a 'Sender Bond' or risk) into ordinary phone calls (all kinds: POTS, mobile, and VOIP). It gets legitimate calls connected and urgent mail delivered. It blocks the calls that irritate consumers without thought or any change in behavior. 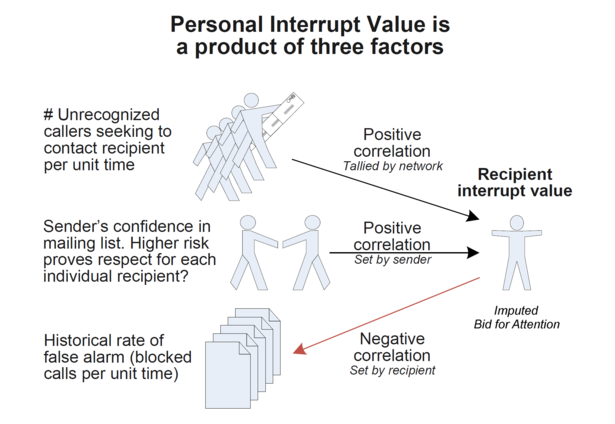 One day, all unrecognized contact will be mitigated in this way. Silently, effectively, without user effort, and perfectly. Every call, every email, fax, IM—and ultimately every data packet—will express sender liability as a guarantee of relevance and a demonstration of respect for each individual recipient. The model differs from "pay-for-play" because communication remains free for contact that sits well with individual recipients. The only outreach that is costly are the illegal ones that recipients find irritating, irrelevant or harassing. Comments for this submission are closed. View the software in Vanquish_Labs's portfolio to continue the conversation.